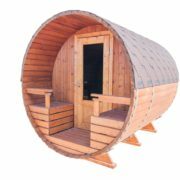 Many people are drawn to Cedar as being the best timber available for Sauna. Whilst cedar, redwood and other darker woods are very good timbers, they do have some drawbacks. One of the issues is the odour of the wood once heated in the sauna. For people with upper respiratory problems and allergies, the offensive smell of the warmed cedar could trigger breathing issues. Western Red Canadian Cedar is a lovely wood for using in wardrobes and furniture for its aroma, however this is amplified once the timber is warmed up. 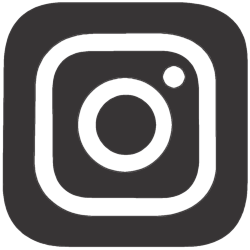 Darker timbers also have a tendency to discolour when used in a sauna application, with some redwood turning black and Cedar turning grey. The lightness of the Nordic White Spruce keeps discoloration to an absolute minimum – thereby keeping the sauna fresh looking and fresh smelling. 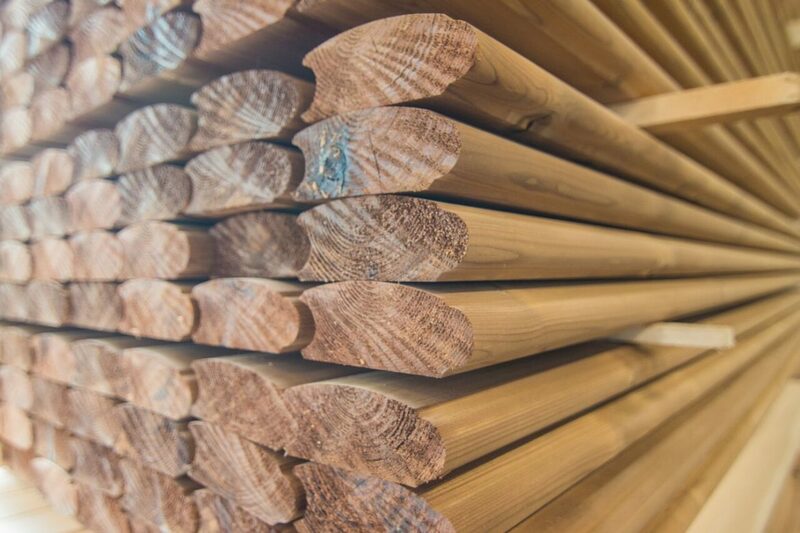 Nordic Spruce (sometimes known as European Whitewood because of it’s colour) is a very slow grown timber, characterised by narrow growth rings and very tight living knots. Although is is a light wood in appearance, do not confuse with regular pine. Most commonly grown across Scandinavia and other Nordic countries, it is popular in construction and furniture making. This timber has a very straight grain and few resin pockets. What about New Zealand Spruce? Due to our climate NZ timbers grow very fast and are not really suitable for sauna. Some examples of New Zealand grown Spruce can found in the Craggieburn ranges, Conical hill and some other 600ha across the South Island, however these timbers are not commercially available on a large scale. This species was mainly planted experimentally between the 1920’s and 1940’s and has been largely ignored since. This timber is inferior, as the Nordic grown variety is matured in it’s native environment and over grown over a longer time span. Nordic Spruce timber is steam and heat treated for over two days, after this process it is known as thermally modified or Thermowood. This process further stabilises the timber and removes moisture and most of the resin, creating a product that is perfect for the high temperatures of sauna. 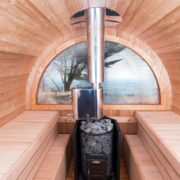 In comparison with Cedar, Thermowood is 25% more thermally efficient, thus better suited to sauna. As a general rule, the higher the water content in a timber, the higher the thermal conductivity and the bigger the loss of temperature if used in a sauna. Stain resistance is another advantage. Darker wood especially redwoods can discolor quite quickly in a sauna environment, turning gray or even black. 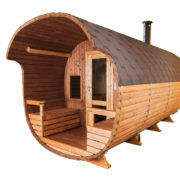 This timber is pronne to warping with the heat generated from sauna and contains very loose knots that are prone to dripping resin or falling out altogether. Also due to it’s cellular structure, pine is much more water permeable than Spruce, so more susceptible to rot and mould. For the reasons stated above, we use Thermowood, derived from Nordic Spruce to ensure best timber for our clients.